Welcome to Brand X Communications where companies can be more. spend less. We are in the process of updating the website to better serve our customers. We appreciate your patience. 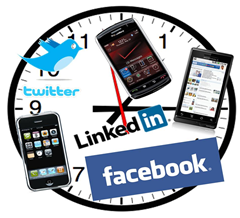 “Many companies’ forays into social media yield nothing more than wasted time and effort. Before you establish a company Twitter account or start a Facebook page, step back and think about what messages will be relevant to your customers or potential customers. If your brand and your communications aren’t useful or interesting to them, you might as well be tweeting into a black hole. Start by understanding the conversations that are already happening around your brand.